What's changed in version 2.4? Effortlessly create and schedule one-off jobs with Jobber Mobile’s new and intuitive job creation. 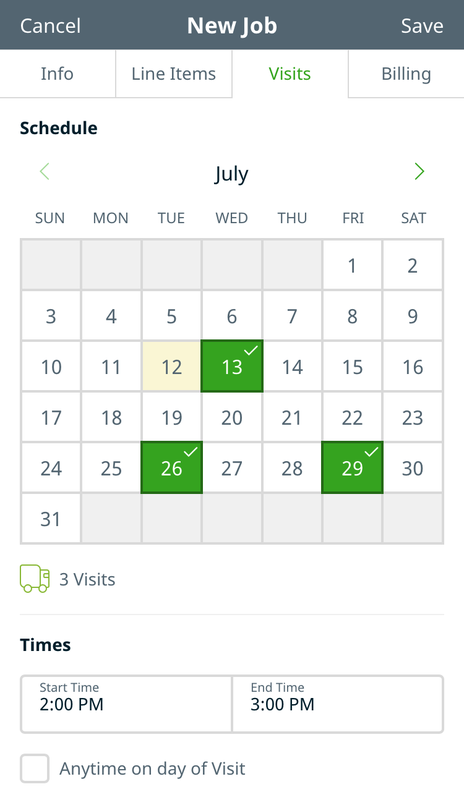 Version 2.4 of Jobber Mobile brings a new calendar for visit scheduling to one-off job creation. Simply tap on the days that you want Jobber to create a visit on. Making a visit schedule recurring will be added in a future release. Options such as job description, line items, and invoice reminders can also be set at job creation. Selecting team members for newly created jobs has a new interface. Search and select multiple team members before taping on continue. 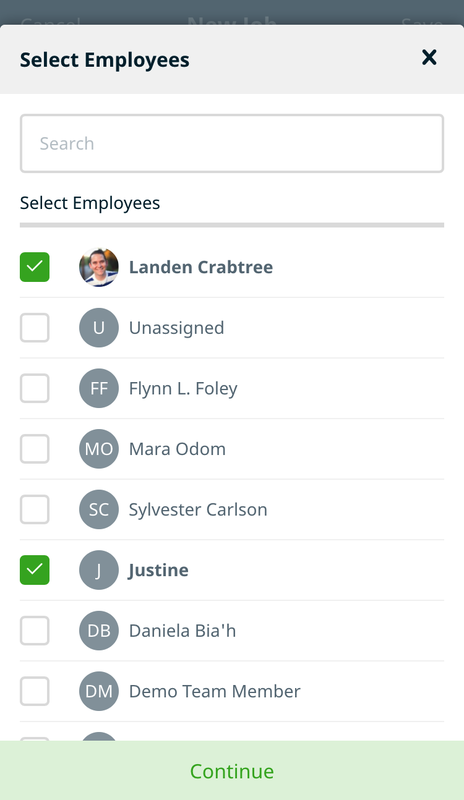 Removing team members can be done quickly by taping the X next to their name. 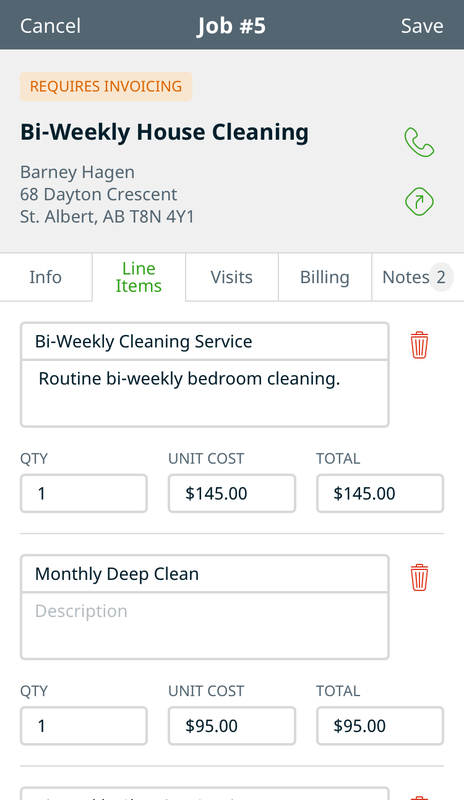 Edit line items on jobs to adjust the services and products anytime you need to. This includes line items on all jobs, not just newly created jobs.